The nickname “Mr. Ritmo” wasn’t just made up as a stage name for Henry Brun, this is the result of years of passion, hard work, and whole lot of drumming. Henry was born in the Bronx to Puerto Rican parents. He started playing congas at the age of seven. By the time he was eleven, his family had moved to Puerto Rico where he started playing with semi professional groups. During this time, Henry developed an interest in the genre of jazz and formally studied music in a Liberal Arts school in Ponce, Puerto Rico. In 1979, Henry joined the United States Air Force where he got the opportunity to travel around the world and play with legends such as Maynard Ferguson, Bob Hope, Lucille Ball, Barbara Mandrell and many others. Henry has accumulated over 650 recordings which include participation in a Grammy winning production and multiple Grammy nominations. 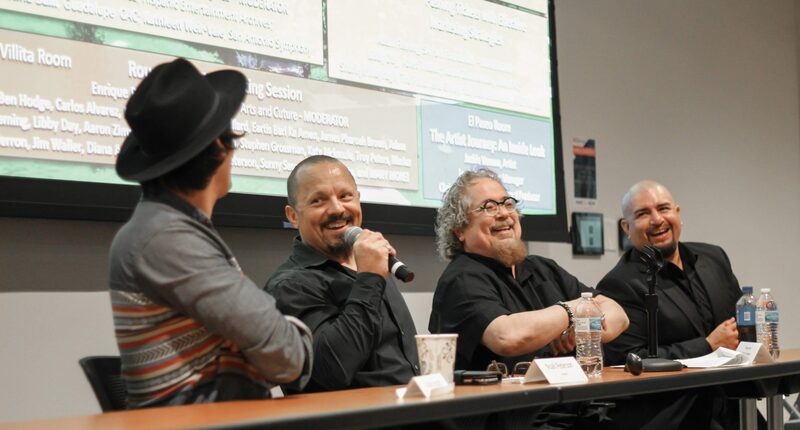 He has collaborated with artists such as Little Joe y La Familia, Texas Tornados, Rubén Ramos, Los Lobos and David Lee Garza; Grammy nominees, Ram Herrera, Jay Pérez, Joe López, Tejano Music Award winners Laura Canales, etc. Some of the awards and nominations that involve Henry and his ensemble “The Latin Playerz” include: Latin Jazz Band of the Year Award (2005, 2007 and 2009) by Premios a La Música Latina, Univision TV. Their 2004 production, titled “Spiritual Awakenings”, received award nominations for Latin Jazz Album of the Year, Best Jazz Arrangement of the Year and R & B Song of the Year. The Playerz were nominated for the Best of 2009 Awards in the entertainment category by the Texas Meetings and Events Magazine. Do not miss Henry at Music Biz Day on April 6th!